A new operator has been selected to run a key port in New London. The management shakeup at State Pier comes with an eye toward capitalizing on the growing market for offshore wind energy. 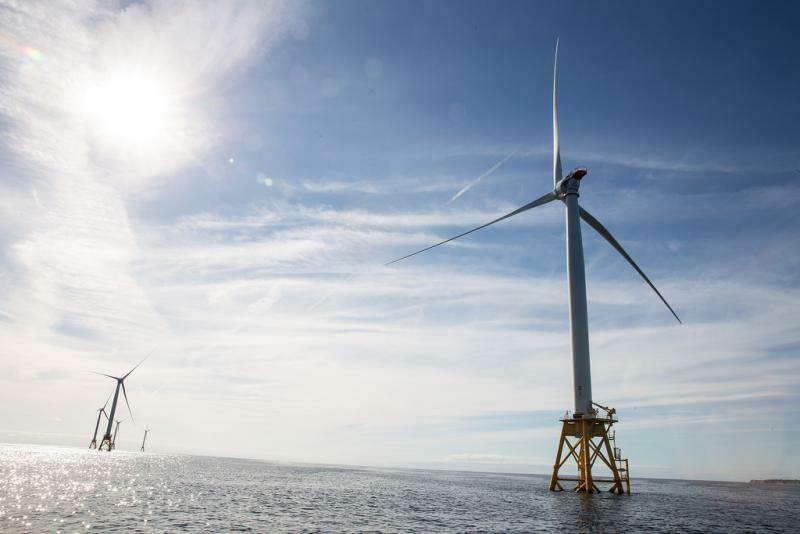 When it comes to hooking its power lines up to offshore wind, Connecticut’s behind the curve. Last month, it approved a small expansion to its first-ever offshore wind commitment, “Revolution Wind,” expected to come online in the early 2020s. But Connecticut’s offshore wind purchase commitments, essentially agreements to buy electricity from wind turbines, still lag behind neighbors like Rhode Island and Massachusetts. Revolution Wind will be in federal waters about halfway between Montauk, New York and Martha’s Vineyard. But before turbines are deployed, they need to be built up. Matt Satnick is hopeful the State Pier in New London can be the place for that and other offshore wind work. Satnick is with Enstructure, the financial partner for Gateway Terminal, which was just selected as the new operator of the State Pier in New London, located in southeast Connecticut. Gateway, which also operates at the Port of New Haven, beat out five other bidders, including the port’s current operator, Logistec. Scott Bates with the Connecticut Port Authority said Gateway’s winning bid hinged primarily on two things: long-term vision and money to invest. As part of the agreement, Gateway is committing at least $30 million in capital improvements at State Pier over the next 20 years. “Most important of all, it positions New London as a potential hub for wind energy production,” Bates said. Satnick said Gateway had “extensive conversations” with a variety of offshore wind providers. “To the extent we do end up moving in that direction, we’ve really created the optimal path for the Connecticut Port Authority to go realize those relationships,” Satnick said. Beginning in May 2019, Satnick said companies would be coming to Gateway, as the new port operator, to set up their businesses at the State Pier. In a statement, Ørsted, formally Deepwater Wind, congratulated Gateway and signalled it would be one of those companies looking to set up shop. As part of Revolution Wind, Ørsted said it would invest at least $15 million in the New London State Pier. The state has committed an additional $15 million for port investments. “We look forward to continuing the close collaboration with the CPA, Gateway and key local stakeholders to determine the best deployment of the enabling funds for offshore wind in New London, committed as part of our Revolution Wind project,” said Lauren Burm, head of public affairs for Ørsted North America, in an e-mailed statement. This report comes from the New England News Collaborative: Eight public media companies, including Rhode Island Public Radio, coming together to tell the story of a changing region, with support from the Corporation for Public Broadcasting.